This week’s readings contain the genealogies of Jesus from Luke and Matthew which differ. This has been the subject of some controversy. You can read more about this on the wikipedia page linked below but I’ve pasted a quote for those who are interested. 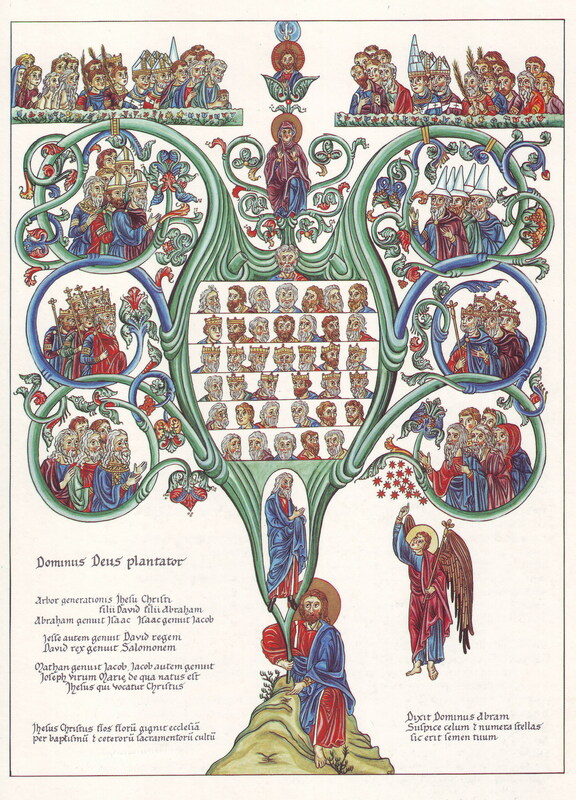 Image from http://en.wikipedia.org/wiki/Genealogy_of_Jesus, Rose window in Basilica of St Denis, France, depicting the ancestors of Jesus from Jesse onwards.